We are both big fans of inspirational quotes. Anything that can put a smile on our face, make us laugh, or give us a little extra boost of happiness is welcomed with open arms in our playbook. So when we saw these adorable Letterfolk signs all over our Instagram feed, we were excited to each buy one! As we gush about our new signs today, we don’t want you to be fooled into thinking this is a sponsored post. It’s NOT…. we just really love our new signs, so we thought we’d share! We think the signs are a bit expensive, but we’re happy to support fellow small businesses (especially ones based in the USA) so we didn’t mind splurging. We each bought the MEDIUM sized signs, which are called “the writer” size. Casey bought hers in black & Bridget chose the grey. 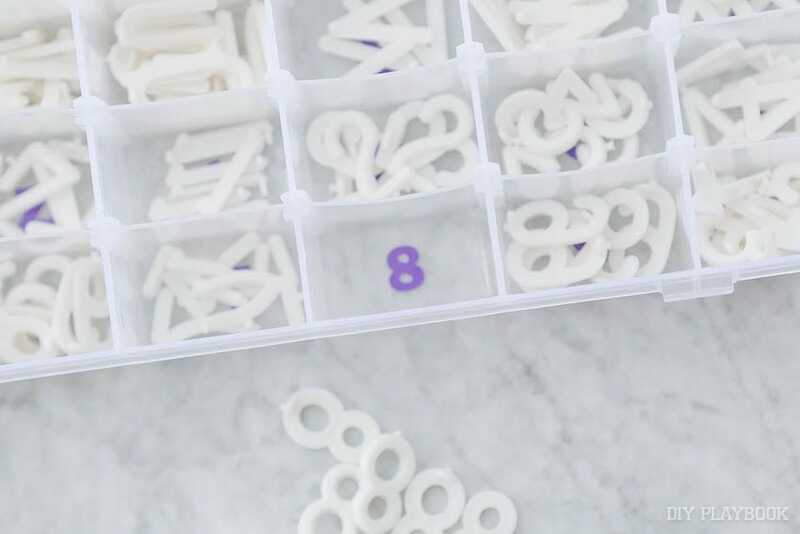 Each of our boards came with a generous assortment of letters, numbers, and symbols. 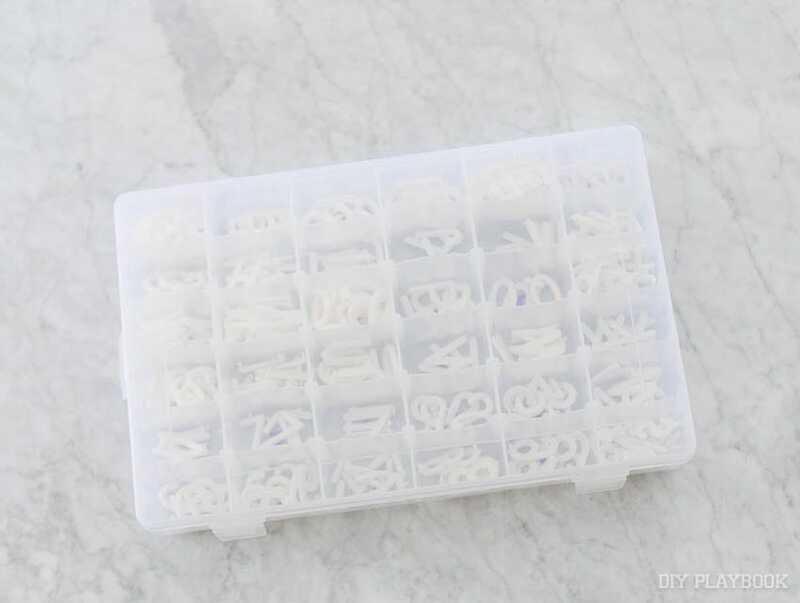 Because we wanted to keep our mini pieces as organized as possible from the very start, we purchased these boxes from Amazon to separate the letters. Before we even started playing with our boards, we labeled each compartment using a sticker, and separated our letters/numbers/symbols. If you’re interested in buying one of these Letterfolk signs, we would highly recommend investing in this box as well. It just makes spelling out messages so much easier and more fun! 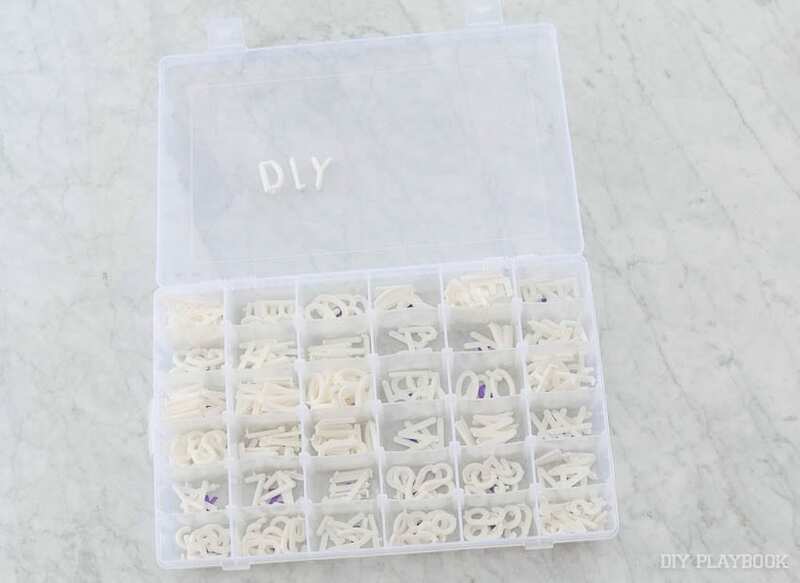 If we didn’t have these boxes, we probably wouldn’t change the quotes and messages nearly as often…so definitely get yours organized from the start! But enough about the organization, let’s get into how each of us have been putting our signs to good use. 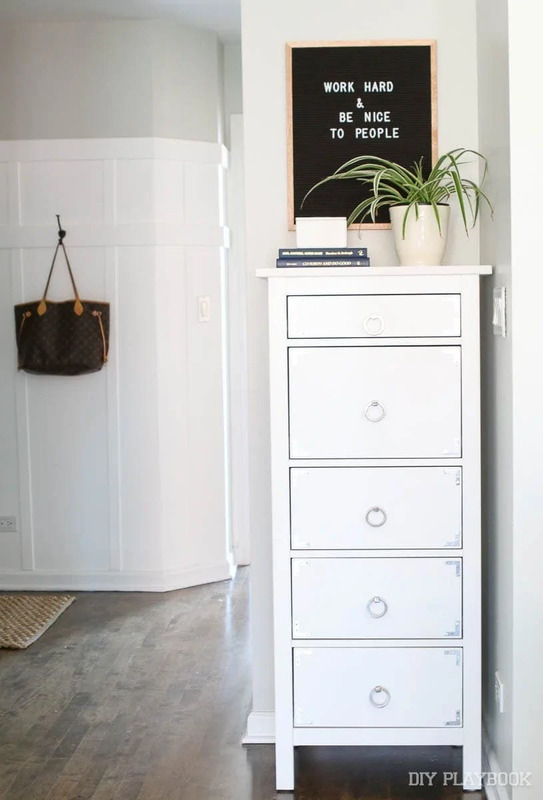 I’ve been on a mission to get rid of anything in our home that isn’t personal, and replace it with an item that I absolutely love! While I really liked the blue print that used to be in our hallway, it honestly didn’t really feel like me and it definitely didn’t give guests a glimpse into our personalities. So I replaced the random blue art, with our new sign! It’s the perfect spot for a little extra somethin’ somethin’ and I love that it can easily be viewed by anyone who comes into our house. And because of this prime location, Finn & I remember to change up the words on our sign fairly often. I’d say we change the quote or saying on here about once a week. We’ve traded off a few times with who gets to choose what it says. (Currently, it’s Finn’s choice….”IF YOU AIN’T FIRST, YOU’RE LAST”). I keep our organized letter box in the top drawer of the dresser, for easy access. 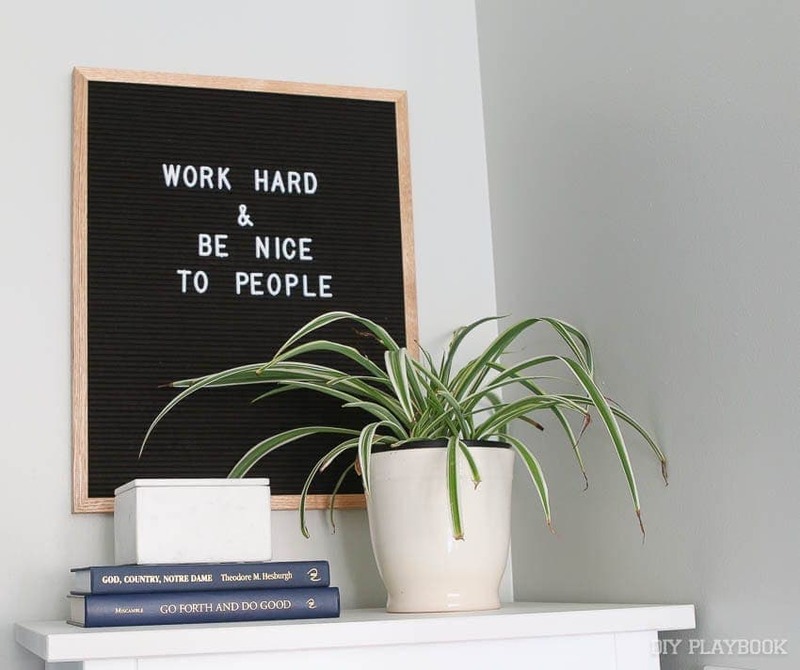 But “WORK HARD & BE NICE TO PEOPLE” certainly is a statement we both try to live by each and every day. 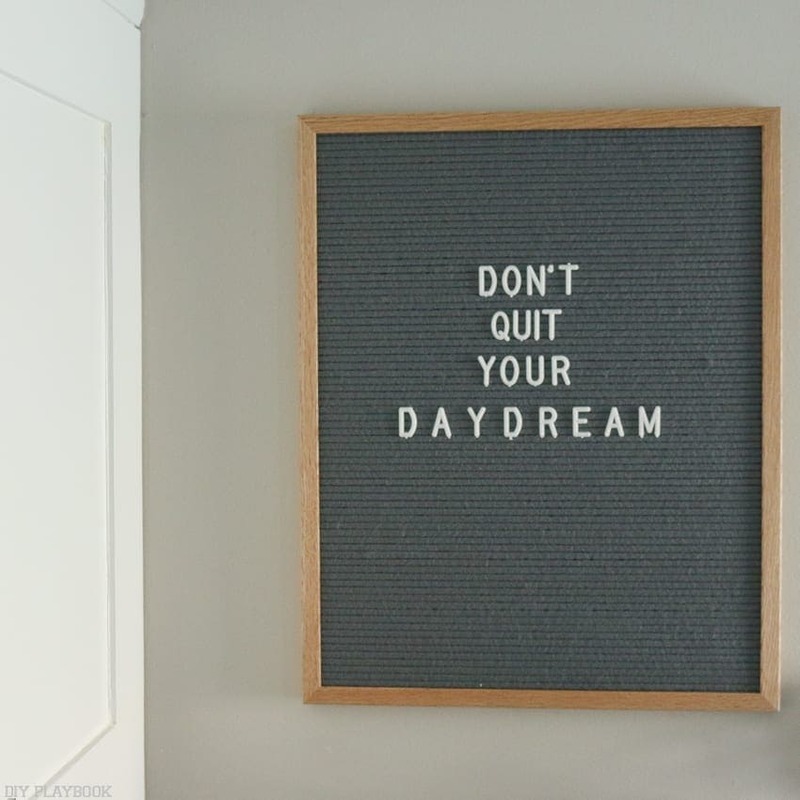 And having that reminder right in our kitchen is helpful to keep us on track. I must say, I’ve loved adding this piece to our home. It’s not often that a home decor item gets to be not only a cute piece…but also a fun and entertaining activity for you and your family. And for that, I think it was worth every penny! Unlike Casey, I don’t have a “permanent” home for my Letterfolk sign… yet. I’m in the very, very, VERY early stages of changing my guest room into an office and my office into a guest room (long story). I want to wait to hang mine until the office is ready, which will probably be in the late fall. Of course I’ll be bringing you guys along for the journey but for now, there isn’t much progress — just lots of brainstorming. In the meantime though, I’ve made good use of my new favorite sign. When my sister brought Owen home for the hospital, my family decorated Katie’s porch to welcome the new family of 3 home for the first time. 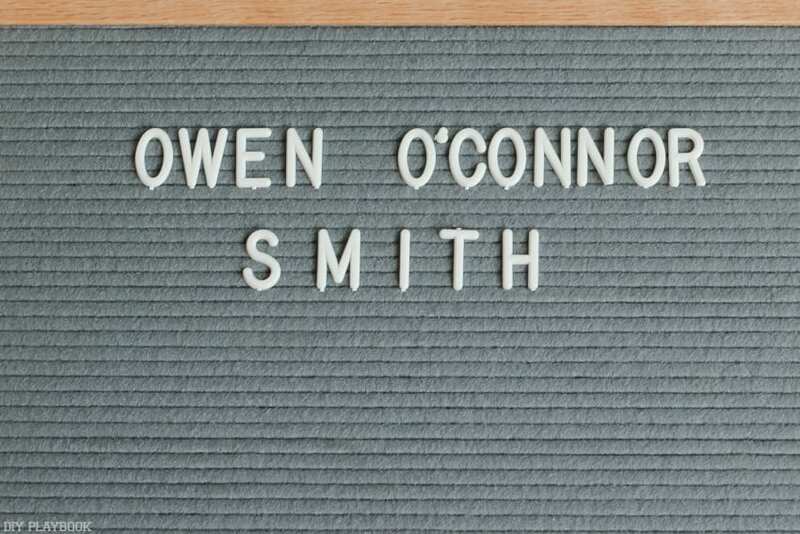 As part of this mini welcome home party, I added the Letterfolk sign with Owen’s “baby stats” into the decor. Then I had to make this handsome fella pose for a few pictures next to his birth information. 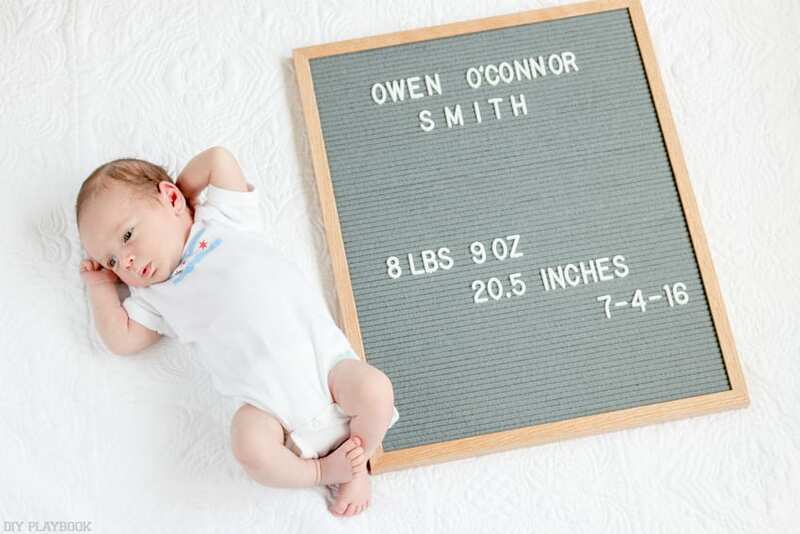 I’ve seen these signs used for this exact purpose, and also as monthly baby update photo…both ideas I really love. 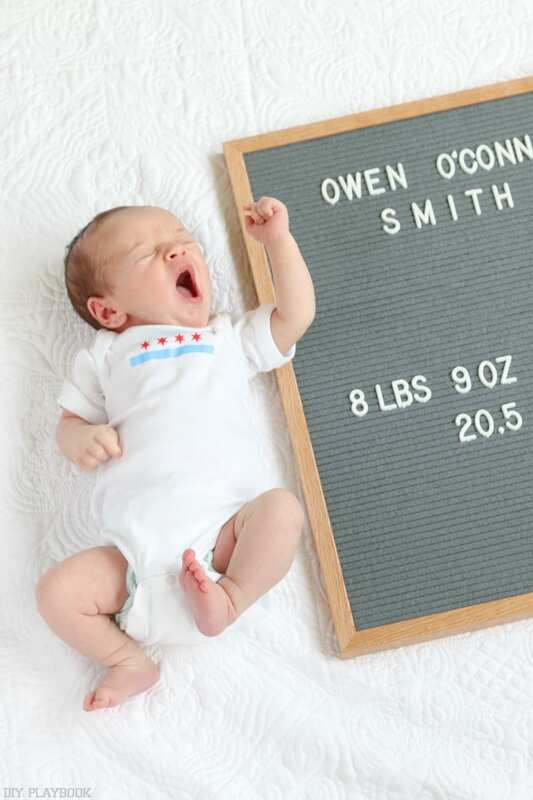 It was fun to see Owen’s name in “print” and even more fun to see how tiny he is next to this sign. Maybe I’ll have to have him pose with this sign and a new message on his first birthday? Hopefully by that time he’ll be standing with it! It’s pretty obvious by now that we’re super excited about our recent purchases. 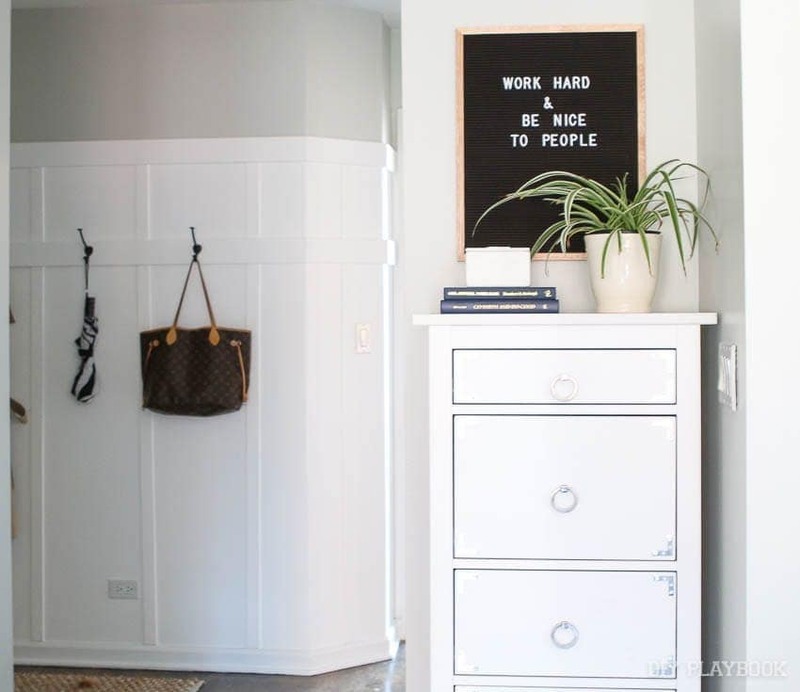 We just love that these signs are classic, yet so darn versatile! Does anyone else have a Letterfolk sign? We’d LOVE to hear how you use yours. Menu? Celebrations? Inspiration quotes? To-do lists? Love notes? Let us know!! And for those of you who don’t have one/never heard of one, what do you think? What items are you currently crushing on? We’d love to check them out!